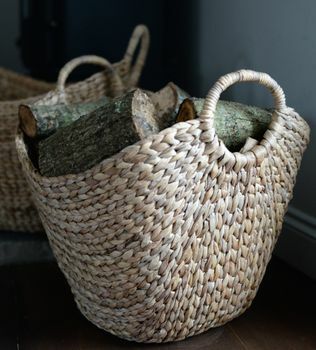 These are a gorgeously simple woven basket. These baskets are in a rustic weave and have a rich, rustic feel. 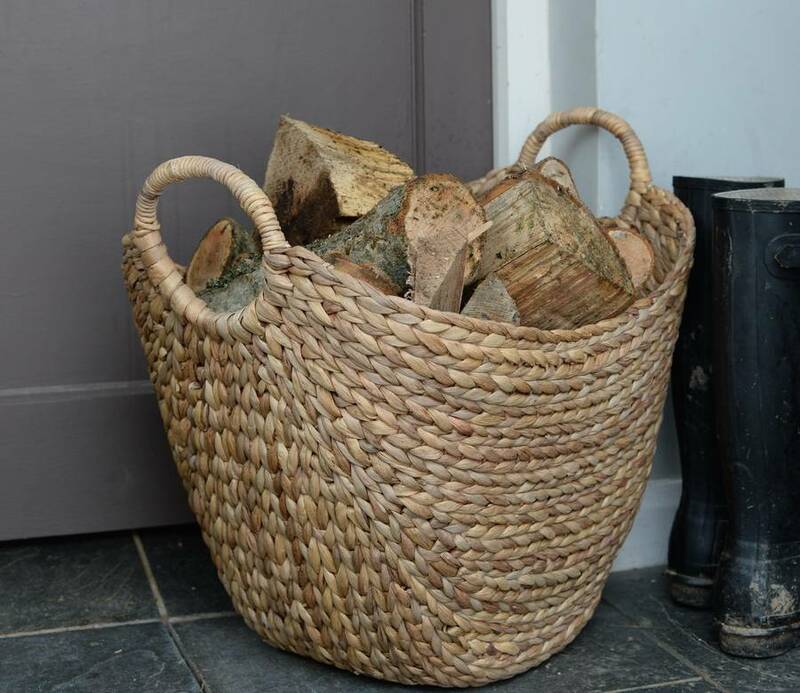 They would be equally great for storing logs or toys at home as for doing your laundry as they have very handy handles.They would also make a lovely present - who doesn't love some stylish storage? Measurements: H 48cm, D 39 X 56cm.